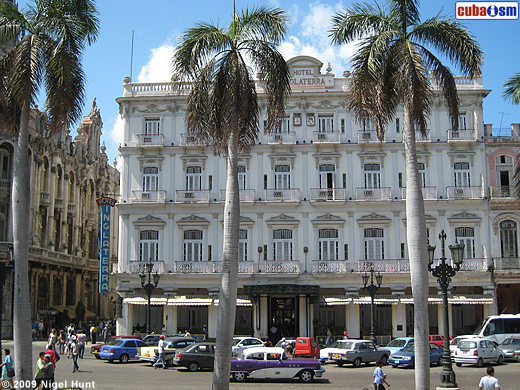 Hotel Inglaterra, of 4 stars category, is the oldest hotel in Cuba and one of the most classic hotels in Havana. Hotel Inglaterra, considered the doyen of the tourist establishments of the island of Cuba, it is located in Paseo del Prado Ave. #416 between San Rafael and San Miguel Street, Old Havana, City of Havana, Cuba. Founded in 1875, Hotel Inglaterra has a neoclassic style, with elements that give it a touch of originality like the mosaics from Alicante in Spain and grilles brought especially from Seville, Spain. 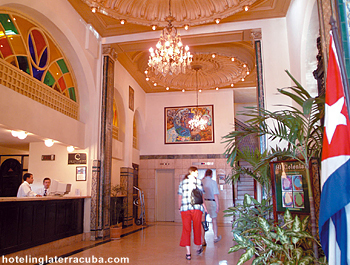 The Hotel Inglaterra is located in an exceptional way in the most authentic heart of Old Havana. Near Paseo del Prado, Central Park and of the Great Theater of Havana, this hotel is the starting point to discover the charms of Havana. Nowadays the emblematic Hotel Inglaterra puts at the service of its invited guests comfortable rooms equipped with the service and all that is necessary to guarantee your pleasant stay on it, within a classical colonial atmosphere. In Hotel Inglaterra its traditional restaurants for sure they will become of your delight, like is it the restaurant “El Colonial”, with a specific menu for each season of year. 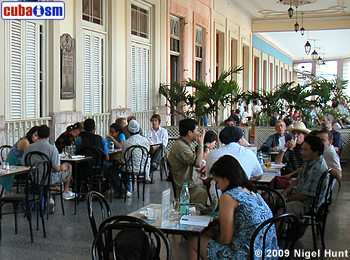 At its portals we can find the very well-known “El Louvre” Coffee Shop, this one linked with the transcendental moments of war of independence, where the visitors can enjoy the daily Cuban life from a sidewalk that shows slabs wich on its top have engraved works for prestigious artists of Cuban plastic arts. Probably, Hotel Inglaterra is not one of the superior hotels of Havana, but it is exceedingly popular for its reminiscent atmosphere. 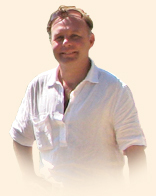 Welcome to my site dedicated to the famous and historical Hotel Inglaterra in Old Havana. I am "poco a poco" researching and updating it with the aim to provide as complete as possible record of the hotel's ancient and recent history; bearing in mind that the goings-on today may one day be of historical interest. You can make from this site room reservations operated by Cubaism Ltd.